Magic Carpet Cleaning provides the very best of carpet cleaning in Victoria SW1 . Our cleaners are certified and insured. They can manage every cleaning job, no matter how small or big it is. We guarantee that we will give you great service, and at a very competitive price. Call us now on 0208 861 0979 to book one of our fully qualified staff and feel the magic! At Magic Carpet Cleaning we offer carpet cleaning in Victoria and deliver a professional and friendly carpet cleaning service for both domestic and commercial properties, and we have very competitive prices for regular cleaning. The major carpet manufacturers recommend a professional carpet cleaning every 6-12 months to maintain the appearance and warranties of your carpeting and we all know that when the correct care is given, carpets will last for many more years. Utilising the most modern, efficient and powerful equipment combined with good old-fashioned hard work and attention to detail we are proud to give you excellent and reliable carpet cleaning service to all of our customers in Victoria. At Magic Carpet Cleaning Victoria our engineers use only the most effective products and procedures combined with the most up-to-date equipment to clean your upholstery and carpets. Only a professional can get your carpet and upholstery thoroughly clean. We do this by using a clean hot water extraction method that removes dirt, stains and dust mites from deep within carpets and upholstery that a standard hoover cannot remove. Magic Carpet Cleaning’s technicians will hoover your carpets first to ensure any loose debris and hair is removed, then they will start to clean your carpets ensuring every inch is cleaned. Our process cleans your carpets, kills off any bacteria and mites and finally brings them up to the best possible cleanliness. Your carpets will be thicker as the pile will be fluffed up and will look and feel much better. Our carpet cleaning process also removes most stains and marks from your carpets in the Victoria area. All of our carpet cleaning technicians is full trained, friendly and helpful. We don’t sub–contract the work out, all of our carpet cleaning technicians work for us full time in Victoria. If you are looking for a professional carpet cleaning service in Victoria then Magic Carpet Cleaning should be your first port of call. Our carpet cleaning technicians will arrive at a time that is convenient to you, will make the whole process as easy as possible, and will ensure your carpets are cleaned professionally. For a professional carpet cleaning service in Victoria call Magic Carpet Cleaning. Our Carpet Cleaning London service team is fully trained and highly skilled in carpet cleaning services, including stain and spot removal. We regularly carry out all of the above on a regular basis. Our happy, friendly teams are available to advise and supply you with a quote over the phone. Our professional team of cleaners is ready service you, every day of the year, even on bank holidays and weekends. 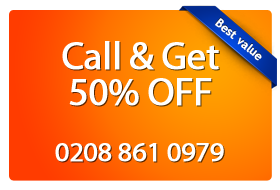 Call us now on 0208 861 0979, and you will receive complete, no obligation price quote. If you need additional information, our friendly assistants are ready to help.